Samsung is attempting to add another spot for it in the Apple iPhone supply chain by offering Apple NAND flash memory that is protected from electro-magnetic interference (EMI). With real estate inside a handset shrinking as phones become thinner, some parts are practically right on top of each other which could cause interference. Samsung is working with a company called Protec to coat the NAND modules using EMI shielding that will meet Apple's standards. The iPhone manufacturer is demanding that its suppliers use enough of a spray-on coating to prevent EMI from being a problem. And there are other advantages. Using a spray-on coating would allow Samsung to shrink the size of the NAND module and make it cheaper. According to a report out of Korea, the EMI shielded NAND modules will be available starting next year. A weakening of the memory market has been the impetus for Samsung's attempt to supply flash memory to Apple once again. But today's report says that Apple's current supplier, SK Hynix, is working on a EMI protected NAND module using the same coating that Samsung is going to employ. Which means that it might come down to pricing to determine who gets the business from Apple. Samsung originally provided flash memory for the Apple iPhone, but was replaced in the Apple iPhone 5 by SK Hynix. Samsung has already lost the job of supplying Apple with the A10 chipset according to earlier reports. TSMC is rumored to be producing all of the A10 chips that will be used for the Apple iPhone 7 and Apple iPhone 7 Plus. Taking all bets, step on up! How many of you fine individuals want to wager someone will turn this into claims of Samsung being desperate? Minimum is $5. No refunds. Samsung and Apple have always had a relationship in terms of hardware and chipsets. That is true. That said, many individuals are either unaware of that or are willfully ignorant. Samsung is desperate. They want to increase their memory market share badly because they invested a lot into it and pretty much only get orders from their own mobile divisions largely. You probably never purchased an SSD. What if Samsung refuses to make 16GB storage for the iPhone 7? @systemlord and @tyrion. That made me laugh. Hynix will do it then..
As long as you don't have a monopoly in a certain market, refusing business actually hurts yourself but not the other party. Of course, if you have like over 80% market share, that would actually mean something else( Intel and AMD ). lmao, it would be generous of Samsung! 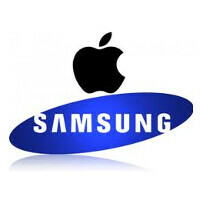 How would Samsung refuse and they will be hired by Apple? Ever heard about something called as joke? Sometimes I read some comments here and I wonder if some people are knowledgeable. Samsung is here to make money, it's their business. Desperate or not they have to make money. you can hate Samsung all you like but there is always a sumsung in your favorite phone brand. Seriously. I'm more interested in the EMI shielding method. Every company are desperate. To make any money or to make even more money. Lol true, but isheep will never believe that. Samsungs entire os is given to them by someone else and their direction and design is a copy of someone else. You mean how Apple copied the LG Prada for the original iPhone and the Ativ S for the iPhone 6? Is that what you mean? Or are you talking about when Apple said no one needs a bigger phone and copied the Galaxy Note? Or are you taking about when Apple said no one wants a stylus and introduced the Apple "Pencil". Wait wait, you must be talking about when they stole "Pro" from the Note Pro and "Plus" from the Galaxy S5 Plus. I guess you must be referring to Apple stealing the whole idea of a cellular device from Motorola then, amirite? Say what you want but when Apple does something (most of the time it isn't first) Samsung all of a sudden comes out with a few months later. Never claimed Apple was first did I? Just that Samsung waits for either rumours or actual designs from Apple. It's their timing that gives them the copycat reputation. Reading your comment makes me think you meant to reply to someone else so pardon me if you are in fact meaning to reply to another user. Also, big phones were out long before the note. Here some truth for you: I don't give a damn who makes it, I'll buy and use what I want.